Bengaluru marathon 2014, I have set the towel on the shelf, as for the straightening/tiding up, it didn’t happen. 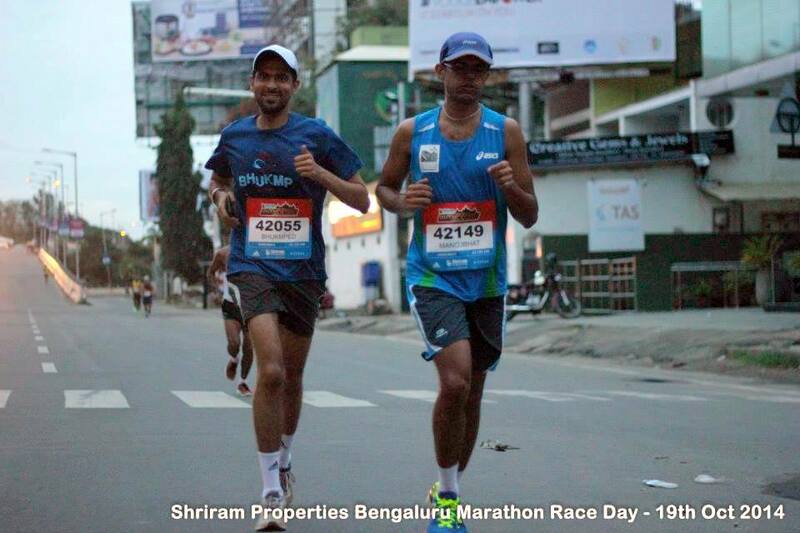 Some frontline media screamed otherwise, but for me, it was a beautiful race – the Inaugural Bengaluru marathon 2014. Coming after nearly 6-7 years, and perhaps the first one to be organized in the right earnest, after the first Bangalore Marathon in 2005, it was close to my heart. Nagaraj Adiga was championing this so well, garnering the runners, the running groups, the press, the sponsors, the police, the volunteers from not only Bangalore, but other cities too, to make it happen. For me, getting to the start line was a challenge. I flew out of the bay area (from the middle of a proposal submission) some 22 hours on the flight, landing just 23hours before the start of the race! From runway to the start line – how to beat the jet lag before a race, coming up soon. I was getting to the start line with lots of mileage, a 50k Ultra in the bay area, two half marathons raced at my personal best timing. I knew I could get to a PB, under 3h:27m. Sid Jr and I had 3:20 in mind when we started off. It was a good course, mostly flat, with a couple of long low gradient uphills. Going by the split pace, I can see that Sid & I stuck to a 3:10 pace (4:30/km) till 25km. But which time, we had gone past Ulsoor lake, back on Old Airport road, past the half marathon U-turn point at Domlur, and up Indranagar 100ft road. 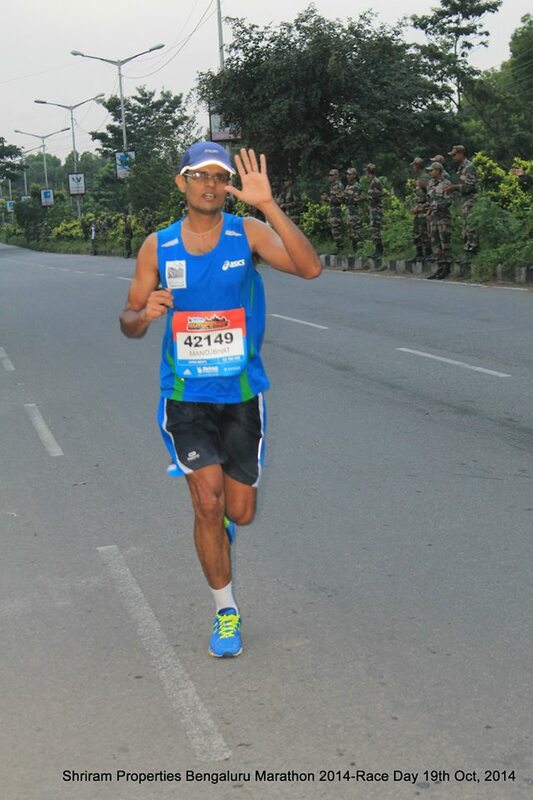 And just as we past the Domlur flyover, on to the Koramangala inner ring road, the best of the race happened – army jawans lined up the road, in full uniform and in their regimented manner applauded the runners as they passed by. I first thought there would be about 10 of them and acknowledge them with a brief wave of hand. But the line would never cease, there were hundreds of them, lined up all the way till end of the road. It was simply unbelievable and gave a tremendous boost. Somewhere after the Sony world junction, the uphill towards Forum and then back up from Adugodu took the tool and the pace began to dip. The group of enthu supporters at Sony world (Sindhu, et al) and the army troops’ unabated support only seem to make it worse on the return. Sid finished in under 3:20, I managed a personal best of 3:22:57 and was delighted with the result. I came in 30th overall, 16th in my age category and with some gas left. 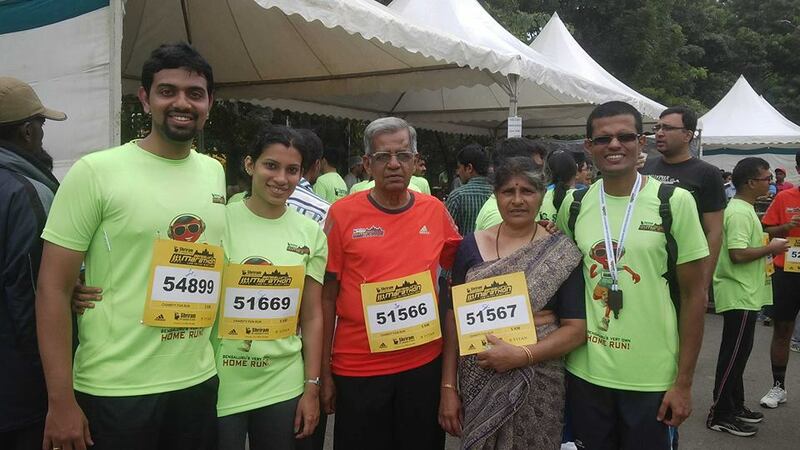 It was also special because my parents did their first 5k in an organized event, my dad even did some running. 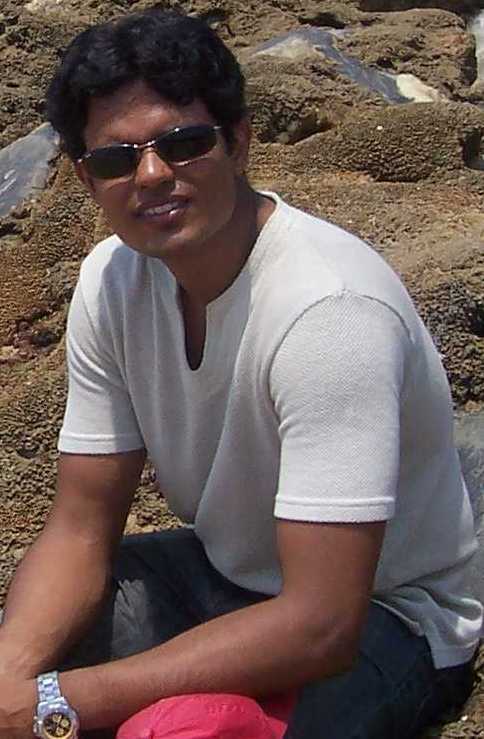 …but that towel, certainly needs tidying before I get off that high stool, and when it happens (hopefully this year), it will be for my dear daughter, Neha!